What’s happened to traditional animation? Truthfully, nothing really. It’s in smaller quantities now, understandably due to the advancements made in CGI, but it’s still very much around. 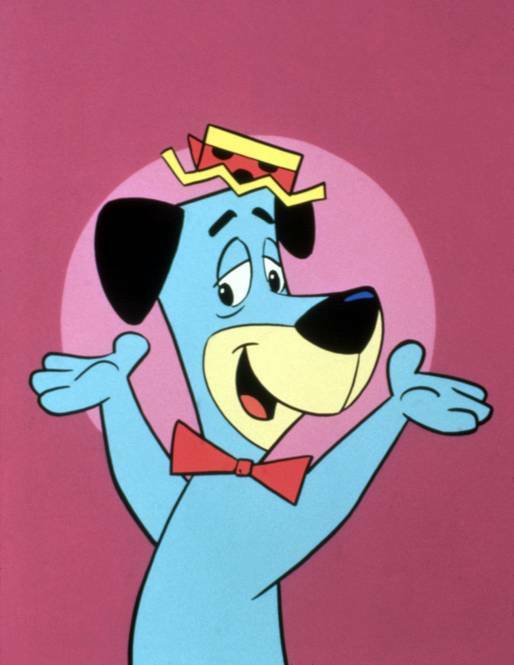 New shows like Tuff Puppy, Adventure Time, G.I. Joe Renegades, and the new Thundercats still utilize the classic hand-drawn style, as well as established shows like Spongebob Squarepants, Dora the Explorer, and Fairly Oddparents. Traditional animation is still here, it’s the personality behind the animation that’s gone away. Back in the 1990‘s film and television animation went through what most call a Renaissance. Disney returned to their former glory, putting out big screen hits like Beauty and the Beast and The Lion King, as well as developing the Disney Afternoon cartoon block for television. 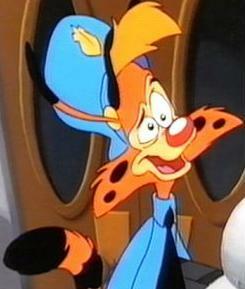 Warner Bros and Stephen Spielberg partnered to create shows like Animaniacs, Tiny Toon Adventures, and Pinky and the Brain, in homage to the golden age cartoon shorts of Warners. 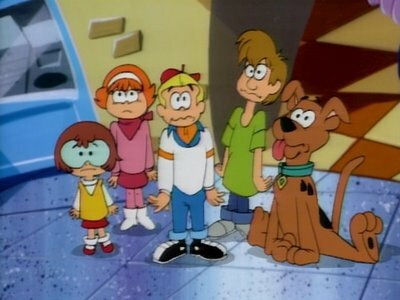 Nickelodeon burst onto the scene with animated hits like Doug, Rugrats, and the Ren and Stimpy Show. And Cartoon Network began producing their own original cartoon series like Dexter’s Laboratory and Powerpuff Girls. This era launched the careers of some of the best animators in the business. John Krisfaluci, Gendy Tartakovsky, Craig McCraken, Joe Murray, Glen Keane, Bruce Timm, all got their big breaks around this time. While not every cartoon to come out of this era was a winner, this time in the animation, proved unique because it seemed like studios then were more willing to take a risk. Obviously there were the shows driven toy companies and whatnot, and those were interchangeable, but there was a surprising number of innovative cartoons that look, felt, and acted nothing like those studio driven ones. Cartoons like Ren and Stimpy, Rocko, and Dexter’s Laboratory were excellent because you could feel the creator’s personality injected into it. From the design of the backgrounds, to the way the characters acted, to the timing of the gags, to the type of stories they told, they had their own way of expression that no other show could copy. You could get a gauge of their thought process, their outlook on the world, their influences, to them, animation was an outlet to express their creativity. Enter 2011, as I look at all this new animated programming coming in, I’m not seeing personality, I’m seeing trends. It’s becoming more and more clear that studios don’t want to finance creativity, or at least creativity that hasn’t proved it can sell before. To your average modern day studio executive, animation is something that can just be done on computers. They don;t understand the care that goes into making a good cartoon good, because that’s not their language. Why do you think most cartoons nowadays seem more like animated sitcoms, it’s because the world of live action is more familiar to executives. They can understand a script perfectly, but for some odd reason can’t comprehend a storyboard, which is basically like a comic strip panel without the word balloon. They don’t get that animators don’t think in words, but in images. But what do they care, they ship is all over to Korea anyway, so it’s not their problem. 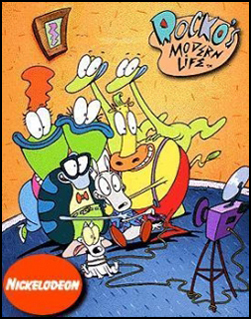 A show like Rocko’s Modern Life came out at just the right time. If Geraldine Laybourne wasn’t running Nickelodeon’s animation department then, this gem of a show might never have seen the light of day. Today, no way it would fly, at least not the way Murray would have intended. The show would be toned down heavily, the “off-balance” style might be replaced with something more static, and the humor would primarily be all dialogue based. Why, because that seems to be the route things are taking. I could be wrong here, but the way I see it there are three types of cartoons that seem to be coming out more and more. The studio/toy company driven cartoons like the ones that make up the Hub’s programing block (G.I. Joe Renegades, Transformers: Prime, and My Little Pony: Friendship is Magic), the completely CG animated series like the ones Nickelodeon is putting out more of (Fanboy and Chum Chum, Penguins of Madagascar, Planet Sheen), and the post-modern humor, low quality, “ironic” shows that Cartoon Network now seems to be fond of (Adventure Time, The Regular Show, Amazing World of Gumball). Obviously the types aren’t exclusive to each network, but you can see a patten forming. I’m not trying to say these showas are all bad, their not all bad, some from what I understand are quite good, but there’s no denying there’s no heart in their animation. They all just kind of blend together, nothing original, nothing that let’s me get to know the creators more. Even the shows today that are creator driven, that are still semi-traditional in their animation, the all seem to be conforming to the same flat style. The 2D cartoons that we all love have become just that, 2D, in look and feel. Nothing that makes me think the characters could hop off the screen and move in real life. The Renaissance is definitely over, it seems now like we’ve entered into a new dark age. It’s not all bad, but there excitement and optimism of the 90‘s seems to have gone away. All this rambling brings me back into my own head. I want to be in the animation business so bad. I want to create shows that will appeal to all audiences. I want to make real animation. I don’t just want to ship it off to some other country and be satisfied with whatever comes back, I want to give it a certain flare that I know only I can put into it. I could do a whole article on why it’s so damn great, and one day I just might, but in short, this is the kinda thing I want to do. I want my characters to have personality, to be able to act like real people would. I want to put some humanity back into animation, but I’m scared I wont be able to it. The thought of me not being able to create the show I want to because it might not be trendy, or some douchebag exec who can’t even grasp the complexities of a stick figure just “doesn’t get it”, terrifies me to no end. Is this the real future of animation. Souless, corporate driven, carbon copied? I’d love to be able to get some experience working on some of these shows, but I don’t want to be doing other peoples visions for my entire career. I know in order to survive in this business, you need to be flexible, you need to learn how to pick your battles, and you can’t always get exactly what you want. But I don’t know how much I’d be willing to give up. Would I have to change my entire style, my entire way of thinking to fit some trend that’ll ultimately burn out and be forgotten in time? Or will I catch that lucky break? The hopeful dreamer in me thinks that one day soon, we’ll get some studios that want to take a chance again and do something different, and hopefully, I’ll be ready when it comes. Until then, I can only watch and learn.